Albert Cornelius Freeman Jr. (March 21, 1934 – August 9, 2012) was an American actor, director, and educator. A life member of The Actors Studio, Freeman appeared in a wide variety of plays, ranging from Leroi Jones' Slave/Toilet to Joe Papp's revivals of Long Day's Journey Into Night and Troilus and Cressida, and films, including My Sweet Charlie, Finian's Rainbow, and Malcolm X, as well as television series and soap operas, such as One Life to Live, The Cosby Show, Law & Order, Homicide: Life on the Street and The Edge of Night. Freeman was born in San Antonio, Texas, to Lottie Brisette (née Coleman) and Albert Cornelius Freeman, a jazz pianist. He is mostly recognized for his portrayal of police captain Ed Hall on the ABC soap opera One Life to Live, a role he played from 1972 through 1987, with recurring appearances in 1988 and 2000. 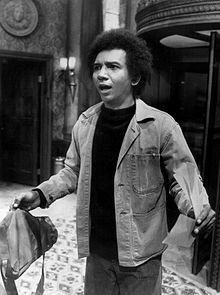 He won a Daytime Emmy Award for Outstanding Lead Actor for that role in 1979, the first actor from the show as well as the first African-American actor to earn the award. A director of One Life to Live, he was one of the first African Americans to direct a soap opera. After leaving One Life to Live, Freeman appeared in the 1998 motion picture Down in the Delta. His Broadway theatre credits include The Hot L Baltimore and Look to the Lilies. His portrayal of Elijah Muhammad, the Nation of Islam leader, in the film Malcolm X earned him the 1992 NAACP Image Award for Outstanding Supporting Actor in a Motion Picture. He had played Malcolm X in the 1979 miniseries, Roots: The Next Generations. In the 1990s he had a recurring guest role as the manipulative Baltimore deputy police commissioner James Harris in Homicide: Life on the Street. In 1991 Freeman joined the Department of Theatre Arts at Howard University in Washington, D.C., and served for six years as department chairman. Al Freeman Jr. also appeared on Broadway in 1970 as Homer Smith in Look to the Lilies, a musical adaptation of Lilies of the Field, opposite Shirley Booth. The show ran for 25 performances and 31 previews. Freeman died on August 9, 2012 in Washington, D.C. at the age of 78. On September 10, 2012, a memorial service was held for Freeman at Howard University. In 2014, the Environmental Theatre Space at the Howard University Fine Arts Building was renamed The Al Freeman Jr. Environmental Theatre Space in his honor. ^ "Al Freeman Jr". IMDb.com. Retrieved 2012-08-13. ^ "Al Freeman Jr. profile at FilmReference.com". Filmreference.com. Retrieved 2012-08-13. ^ a b "Acting Legend Al Freeman Jr. Remembered at Howard University". Howard University. 2012-09-12. Archived from the original on 2015-11-19. Retrieved 2015-09-30. ^ Matt Schudel (August 13, 2012). "Actor's career spanned Broadway, TV soap operas, films and academia". The Washington Post. Retrieved 2012-08-13. ^ "Howard University Celebrates 50th Anniversary Revival of 'Dutchman' and Theatre Dedication to Honor Al Freeman". Howard University. 2014-10-14. Archived from the original on 2016-03-04. Retrieved 2015-09-30.